He’s a sabermetrician. And a psephologist. 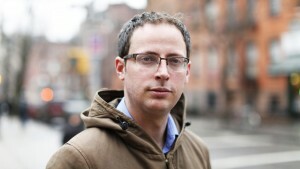 And if those fancy titles don’t pique your interest, you should know that Nate Silver is a serious statistician. Developing a widely acclaimed system called PECOTA (Player Empirical Comparison and Optimization Test Algorithm), which predicts player performance, career development and seasonal winners and losers. Correctly predicting the results of the primaries and the presidential winner in 49 states in the 2008 election. Beating his 2008 record to correctly predict all 50 states in the 2012 election. And he’s headlining Discovery Summit 2013! Silver is also the author of several books, including the New York Times best seller The Signal and the Noise: Why Most Predictions Fail — But Some Don’t, which examines the world of prediction. Silver writes about some of the most successful forecasters in a number of fields – hurricanes, baseball, poker, the stock market – and why they are effective. He also runs the award-winning, New York Times-published political blog FiveThirtyEight – named for the total number of votes in the electoral college – where he crunches data, statistical studies, polls, election results, demographics and voting patterns to provide a running forecast of a wide variety of current events. Of course, no one is perfect. And he isn’t either. Silver missed one North Dakota senate race in the 2012 election. And he picked the wrong winner for this year’s Super Bowl. But his amazing predictive abilities and forecasting models prompted Jon Stewart to dub him “lord and god of the algorithm.” Really, check out the interview. We hope you’ll join us in San Antonio for Discovery Summit so that you can hear Silver in person and learn much more about his background and methods. Registration opens April 15. If you’d like a reminder when registration opens, fill out the contact information section on Silver’s bio page.